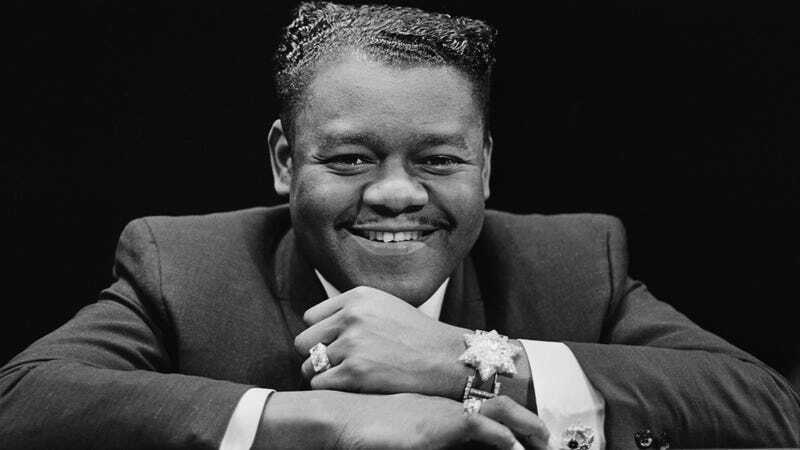 Fats Domino, the singer-songwriter and piano player whose style was hugely influential on the development of rock ‘n’ roll, has died. His death was confirmed by Domino’s daughter, who called Eric Paulsen, an anchor at local CBS affiliate WWL-TV and a longtime friend of Domino’s, with the news. Paulsen reported it live on air. The Jefferson Parish Coroner’s office tells NPR that he died of natural causes. Domino was 89. Domino was a lifelong resident of New Orleans’ Lower Ninth Ward, where he was born into a musical French Creole family on Feb. 27, 1928. He dropped out of school to play piano in his teens, and in 1949 he met producer Dave Bartholomew, with whom he would produce some of his biggest hits. Domino’s nickname, given to him by bass player and bandleader Billy Diamond, inspired his first single, “The Fat Man;” by 1953, that record had gone on to become the first rock ‘n’ roll record to sell more than a million copies. In 1955, Domino crossed over to the mainstream with “Ain’t It A Shame,” later retitled “Ain’t That A Shame.” Domino’s version cracked the top 10, but in that era, radio was still widely segregated, and it was a cover by a white artist, Pat Boone, that reached No. 1. (Cheap Trick later released the song as a single in 1979.) The following year, Domino had his biggest hit, “Blueberry Hill,” which reached No. 2 on the Billboard Top 40 and No. 1 on the R&B charts. The mainstreaming of rock ‘n’ roll was profitable for Domino, who had seven more top 10 hits between 1956 and 1959. The craze had its downsides, though: In 1956, riots broke out at four different Fats Domino shows, including one in North Carolina in which Domino and several of his band members were mildly injured. In the end, Domino charted a staggering 63 times on the pop charts and 59 times on the R&B charts between 1950 and 1963, outselling Little Richard, Buddy Holly, and Chuck Berry along the way. Despite The Beatles’ adoration of Domino— “There wouldn’t have been a Beatles without Fats Domino,” WWL-TV quotes John Lennon as saying—the British Invasion they brought with them pushed him off of the pop charts in the 1960s. He was one of the first inductees into the Rock And Roll Hall Of Fame, however, inducted by Billy Joel—another artist influenced by his music—in 1986. Four of his songs have been inducted into the Grammy Hall Of Fame, and he received a Grammy Lifetime Achievement Award in 1987. A shy and reclusive man, Domino declined an offer from President Bill Clinton to perform at the White House, although he did accept the National Medal of Arts. Domino had to be airlifted out of his compound in the Lower Ninth Ward during Hurricane Katrina, leading to rumors that he had died; in 2006, President George W. Bush visited Domino’s home, then still badly damaged by Katrina, to replace the National Medal of the Arts Domino lost in the storm. Domino is survived by eight children, and an entire genre of music for which he was one of the key innovators.